- Moved bulk of the startup script to ARexx. - WHDLoad options from .info ToolTypes - using rexxtricks.library. - Saving of WHDLoad options to .tooltypes file for each slave. Kgiconload is now used as the default launcher. - This skips the ToolTypes discovery processing in the startup script, which may improve launch times. A minimal Workbench is now loaded after a game has ended (i.e. by using the quit key). - Multiview is launched so that a readme, guide, solution, etc document can be selected and read. - or by double-clicking a document icon within Workbench. 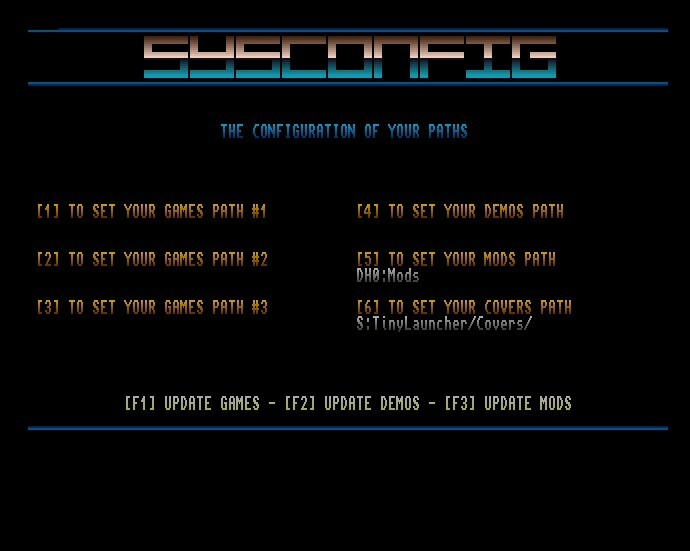 - The loaded Workbench can then be used to rename the game.slave file. - Since you cannot specify an additional WHDLoad parameter to enable the SavePath option. - Need a way to change/update the global WHDLoad.cfg on the fly.